Providing Infrastructure and Affordable Housing Tony Crook, John Henneberry, Christine Whitehead. Institute Positioning Paper No. 126. AHURI, Melbourne. 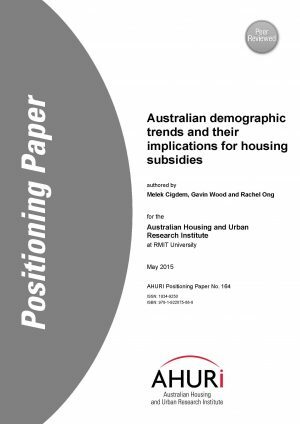 ... Planning Requirements, Infrastructure Costs and Residential Development in Australia, Australian Housing and Urban Research Institute Final Report Series 140.